Yesterday’s dominant performance by Tom Dumoulin secured him a second stage win at this year’s Tour de France and another correct prediction by Spokenforks. Finishing in second place after Stage 13’s individual time trial was Chris Froome, demonstrating that even the circus of Mont Ventoux would not be enough to prevent him gaining further time on his rivals. Today’s affair is a 208.5km route from Montélimar to the Parc des Oiseaux at Villars-Les-Dombes, offering up the type of tricky terrain which can see breakaways get the better of a miscalculating peloton and its sprint trains. Peter Sagan appears to be in imperious form once again at Le Tour de France, likely to weigh up either joining a breakaway move or saving his efforts for a sprint finish on Stage 14 today. Given the compounded fatigue from Mont Ventoux and yesterday’s individual time trial, sprinters and their teams might struggle to control the race and even come up short in the final bunch kick. These factors point to a strongman sprinter benefiting and Peter Sagan should certainly fancy his chances of being in the mix for another stage win here. Mark Cavendish has lost his key man Mark Renshaw and will now see his odds of taking the remaining sprint stages reduced due to his absence. The Manxman has tried to conserve his energy during the preceding two stages and will want to secure another stage victory, especially with so few days left afforded to the quick men. Regardless of his team’s diminished strength, Cavendish has demonstrated this year that he is a master of following the right wheels amidst the maelstrom, so he is unlikely to be concerned in that regard. Edvald Boasson Hagen offers a great alternative at Team Dimension Data instead of Mark Cavendish, the Norwegian champion is immensely strong at this year’s race and seems destined to pick up a win at some point. 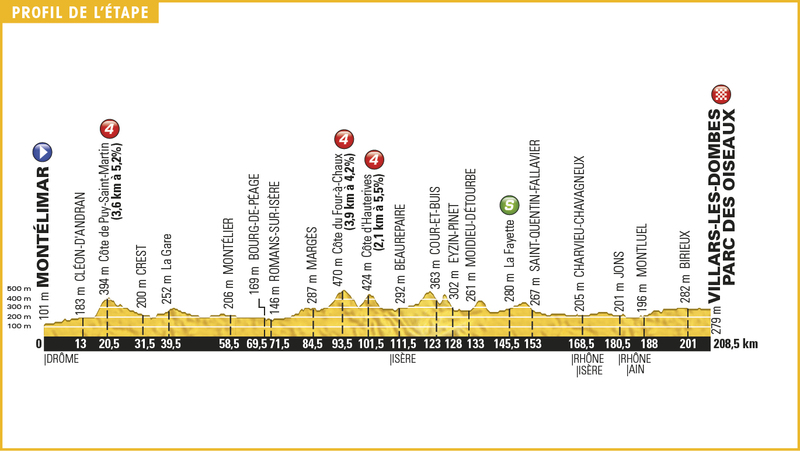 Today would allow him to launch a late attack if desired, but it seems more likely that he will attempt to take Stage 14 in a sprint; one which is anticipated to be far from organised. André Greipel is still yet to collect a stage win at this year’s Tour de France and looks to becoming increasingly desperate in his pursuit of victory. The German’s team remains one of the leading trains in the sprint finishes, yet for several reasons, Greipel is yet to truly contest a sprint finish off the back of an efficient leadout. Call it blind faith, but it seems unlikely that he will go the entire three weeks without a victory, so will still be a favourite on Stage 14. Marcel Kittel picked up a relatively unexpected stage victory earlier in the race and shall feel the pressure lighten as a result, providing himself and the team freedom to approach these final sprint stages more relaxed. There are question marks over his condition exiting the preceding couple of days, like many mentioned here today, but he should certainly feature prominently off the back of another great Etixx performance. Bryan Coquard will still be motivated in his ambitions of winning a stage this year as a result of his impressive performances earlier in the race. Though he is normally only a contender upon finishes with uphill drags, the anticipated attritional nature of today and recent stages can certainly open up the odds of him taking a win at last. Dan McLay remains a dark horse for these final stages which may end in a sprint finish, especially as it is difficult to gauge his condition exiting the first run of mountains. If however he is feeling as good as he was before the first major climbs, then the tired legs of his likely rivals will offer him the belief that a win is well within his grasp on Stage 14. Alexander Kristoff has turned in a mixed bag of performances at 2016’s edition so far, but these sort of transitional stages can often see Kristoff come to the fore as bigger teams burn through their riders at a greater speed than normal, often as a result of strong breakaways proving difficult to pull back. The Norwegian may not be in the same pomp as last season, but if he chooses to invest 100% into a single day like this, then he will prove as difficult to beat as ever. Posted on July 15, 2016 July 23, 2016 by Spokenforks	This entry was posted in Le Tour de France, Le Tour de France 2016, News and tagged Alexander Kristoff, Andre Greipel, Bryan Coquard, Dan McLay, Edvald Boasson Hagen, Le Tour de France 2016, Le Tour de France Stage 14 Preview, Marcel Kittel, Mark Cavendish, Peter Sagan. Bookmark the permalink.